1945. 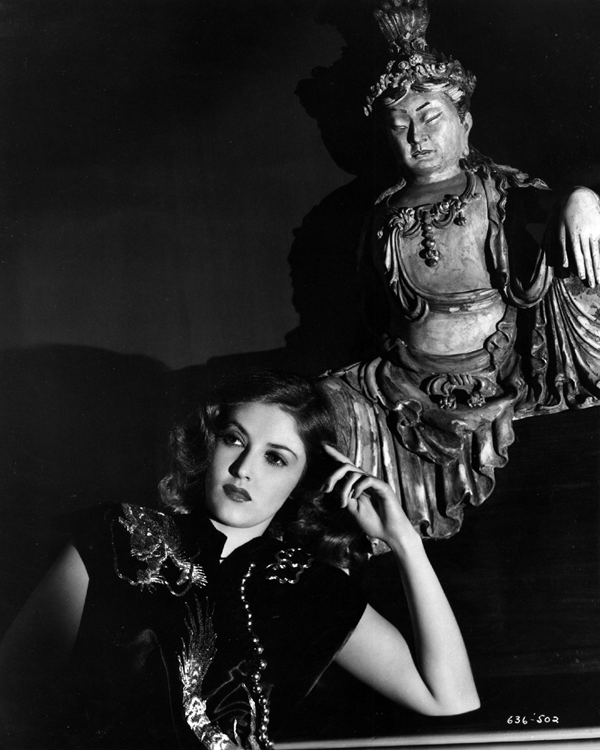 Martha Vickers as Carmen Sternwood in The Big Sleep sits beneath a lowering Buddha. She’s come for a pornographic photo shoot in the house of corrupt bookseller Arthur Gwynn Geiger, where she will be found “higher than a kite” on drugs. Photo by Bert Six.